To understand the plans of tyrants we must examine past attempts to destroy liberty in the name of security. To understand where we are today we must understand what might have been. 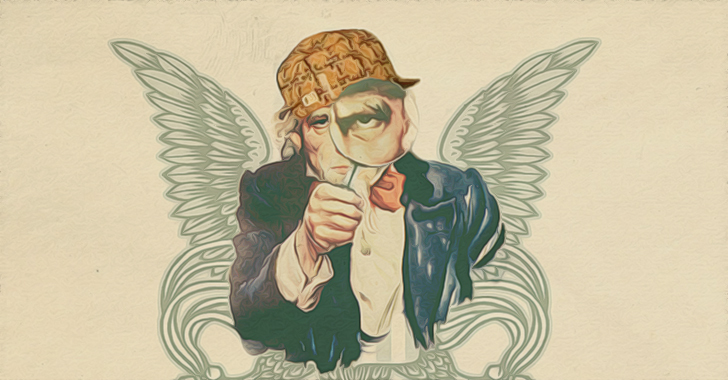 In Part 2 of this series we take a look at the infamous Patriot Act II. While you may be familiar with the dangers and civil liberties violations of the Patriot Act, you may not remember a second threat to freedom launched by the Bush Administration shortly after the passage of the first Patriot Act. In early February 2003, the Center for Public Integrity obtained a draft of previously unreleased legislation known as the Domestic Security Enhancement Act of 2003, or the Patriot II, as it came to be known. The bill was drafted by the staff of John Ashcroft, who was serving as Attorney General at the time. At the time of the release of the text, the bill had reportedly only been seen by a handful of people, although rumors of an update to the Patriot Act had been swirling around D.C. However, an Office of Legislative Affairs “control sheet” that was obtained by the PBS program NOW with Bill Moyers seems to indicate that a copy of the bill was sent to Speaker of the House Dennis Hastert and Vice President Richard Cheney on Jan. 10, 2003. “Attached for your review and comment is a draft legislative proposal entitled the ‘Domestic Security Enhancement Act of 2003,’” the memo, sent from “OLP” or Office of Legal Policy, says. The government would no longer be required to disclose the identity of anyone, even an American citizen, detained in connection with a terror investigation – until criminal charges are filed, no matter how long that takes (sec 201). Wiretaps without any court order for up to 15 days after terror attack would be permissible (sec. 103). The reach of an already overbroad definition of terrorism would be expanded – individuals engaged in civil disobedience could risk losing their citizenship (sec. 501); their organization could be subject to wiretapping (secs. 120, 121) and asset seizure (secs. 428, 428). “Where is the evidence that the law passed less than two years ago is insufficient? When will Congress draw the line and say ‘this much of our civil liberties you’ve taken under the guise of terrorism — you may have no more’?”, asked Cindy Cohn, Legal Director for the Electronic Frontier Foundation. Thankfully, public criticism of the Patriot II was so great that the bill never really gained traction and by the end of 2003 had completely fallen out of favor. However, as The Washington Times noted, “Democrats said the strategy was “to sneak” the elements of the bill through Congress, without presenting it as the next installment of the Patriot Act.” As we showed in part 1 of this series, provisions like Total Information Awareness and the Patriot II were still eventually developed – only under different names, using different agencies. One provision of the Patriot II that was quickly adopted under a different bill relates to the government’s use of a tool known as National Security Letters. The Patriot Act vastly increased the use of National Security Letters, a tool used by the government to force telecommunications companies to give customer information without the use of a warrant from a judge. The NSLs are typically issued by the FBI to gather information from companies when related to national-security investigations. This information can include customer names, addresses, phone and Internet records, and banking and credit statements. The NSL also requires employees who have been questioned to be silenced via a gag order which prevents them from notifying anyone that the government is invading customers’ privacy. Under the Patriot Act, the FBI can acquire bank records and Internet or phone logs simply by issuing itself a so-called national security letter saying the records are relevant to an investigation into terrorism. The FBI doesn’t need to show probable cause or consult a judge. What’s more, the target institution is issued a gag order and kept from revealing the subpoena’s existence to anyone, including the subject of the investigation. The new provision in the spending bill redefines the meaning of “financial institution.” The wider definition explicitly includes insurance companies, real estate agents, the U.S. Postal Service, travel agencies, casinos, pawn shops, car dealers and any other business whose “cash transactions have a high degree of usefulness in criminal, tax or regulatory matters. The new provision inserts one of the most controversial aspects of Patriot II into the spending bill. Some of the darkest elements of the Patriot II would be codified into law in late 2011, when President Obama signed the National Defense Authorization Act, complete with provisions allowing indefinite detention of Americans. Indeed, much of the plans of the Patriot II are now common activities of local, state, and federal law enforcement. The bulk of American communications are now scanned, monitored, stored in a database, and analyzed for signs of terrorism. The NSA has even built a giant database in Utah to handle all of this data. Big Brother and Big sister are listening through an array of devices. Cell site simulators aka stingrays, Automatic License Plate Readers, Audio recording devices aka gunshot detectors, hidden cameras and microphones in public, thermal imaging planes and drones. What can we do about this? How do we reclaim our privacy and liberty? It starts on the individual level in our hearts and minds, and it continues in our communities. It’s up to each of us to begin taking steps in our own lives to create the world that we wish to see. This entry was posted on June 25, 2016 by conspiracyanalyst in New World Order, Police State, Tyranny, US News and tagged Patriot Act II, tyranny.